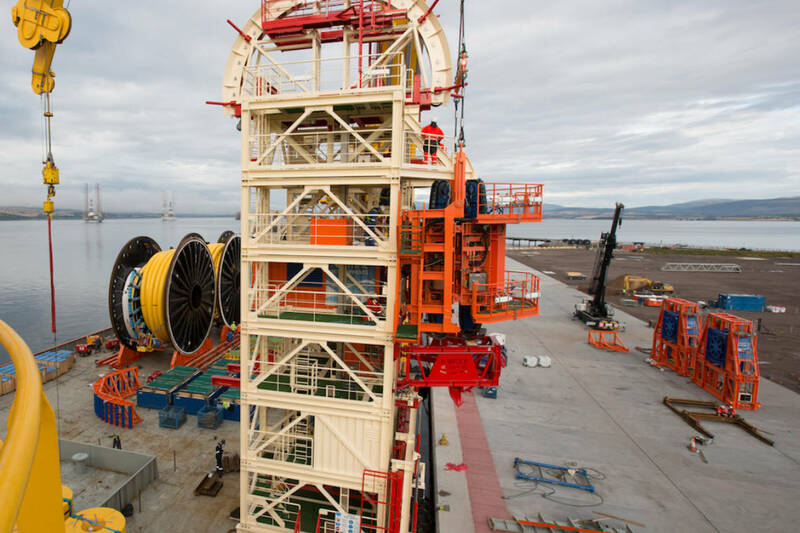 The award-winning MDL PVLS 75Te is a portable vertical lay system for the deployment and retrieval of subsea umbilicals, risers and flowlines (SURF). 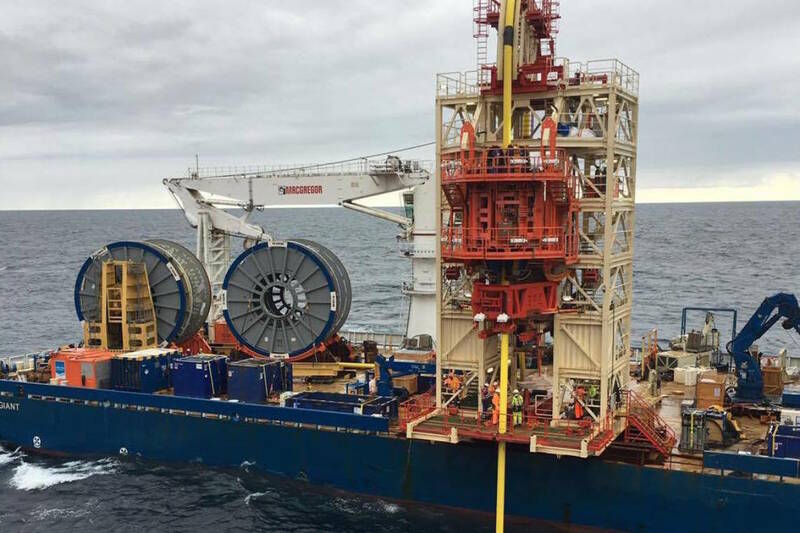 The innovation facilitates the transit of flexible products from on-deck carousels or reel drive systems to a vertical orientation so that they can be installed over the side or through the moon pool of a vessel. 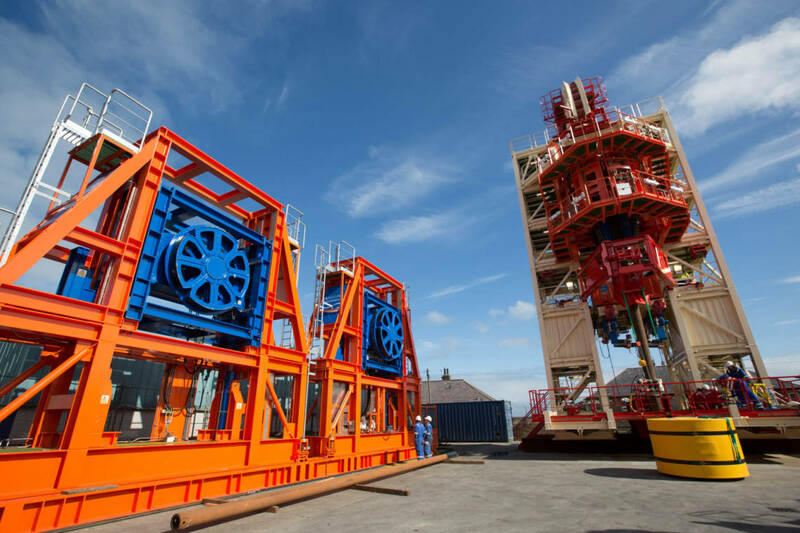 Product Handling: The PVLS has the functionality to incorporate a 10Te pull through winch and 5Te tugger winches for working in the moonpool area. For product installation and recovery, the top radius chute can fleet by15º fore and aft and the outboard end retracts for varying diameter products. 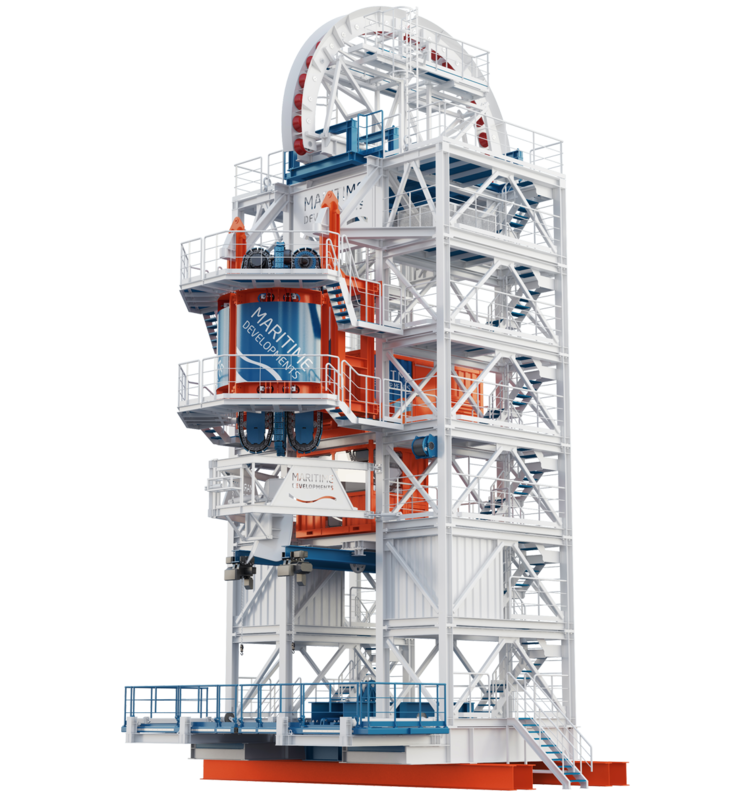 Work Platform: The work platform is fitted with pad eyes for attachment of rigging to aid handling of the product. 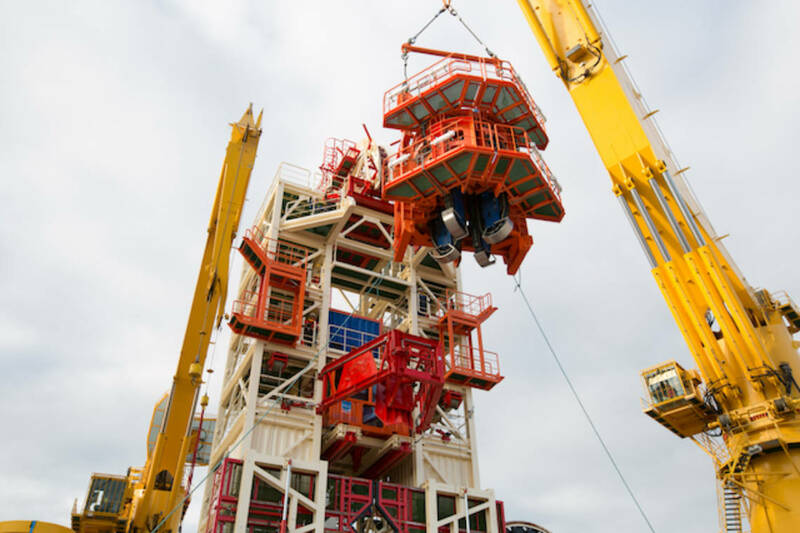 Two 5Te trolley hoists are positioned on runway beams through the centre of the tower to aid installation of buoyancy modules and ancillary equipment. Hang-Off Beam: The hang-off beam is retracted during normal operations but can be hydraulically driven into the firing line for midline connection and hanging off products. Access: All areas of the PVLS are accessible by integrated staircases, walkways and handrails. 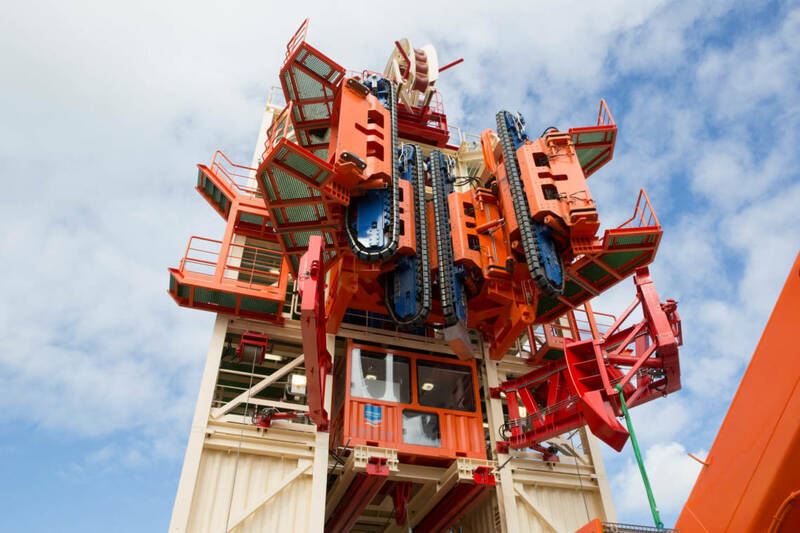 Modularity: The complete PVLS can be broken down quickly into modular components for both sea and road transport. The maximum single component lift is 10Te (excluding tensioner components). Functionality: Integrated control van, tensioner powerpack (if Maritime Developments tensioner supplied) and PVLS spares container. 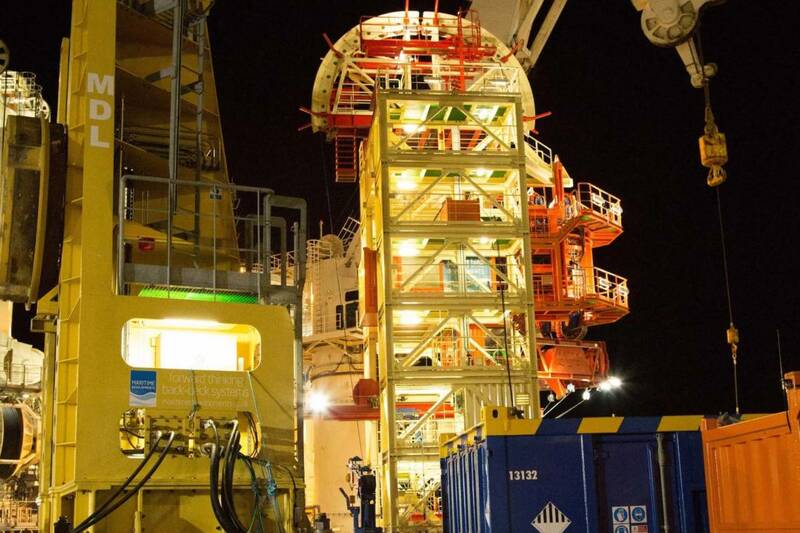 The unit can be interfaced with any of Maritime Developments suite of equipment such as winches, deck radius controllers and compensators or reel drive systems, as well as alternative suppliers’ equipment.